Rochester Mayor Lovely Warren is pleased with some initiatives and budget plans outlined by Governor Andrew Cuomo on Tuesday. 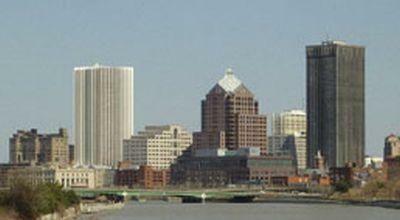 Cuomo is proposing another $25 million in state aid toward anti-poverty efforts in Rochester. That includes $10 million for the Rochester Revitalization Fund, which the mayor says will help support entrepreneurship in the city. “What we’ve recognized is that not everybody wants a job, they want to create, they want to innovate and Rochester is known for innovation and we want to be able to support our residents to be able to innovate and access capital; we also want to be able to support our businesses in their ability to grow,” Warren told WXXI News. If approved by the state, the rest of the funding would help establish a network of social service agencies, with the idea it will put special emphasis on helping people in poverty. Warren also said her administration will support the Governor and Legislature’s efforts to ensure that the benefits of marijuana legalization reach our City and poorer communities. New York would become the 11th state to legalize recreational marijuana for adults under a proposal unveiled by Cuomo. Mayor Warren does not expect the city to want to opt out of that plan. But she does want to make sure that revenues that come in from taxing marijuana help communities, like Rochester, that have been particularly impacted by issues involving drugs. Warren says the city will support sensible regulations to deny access to children.